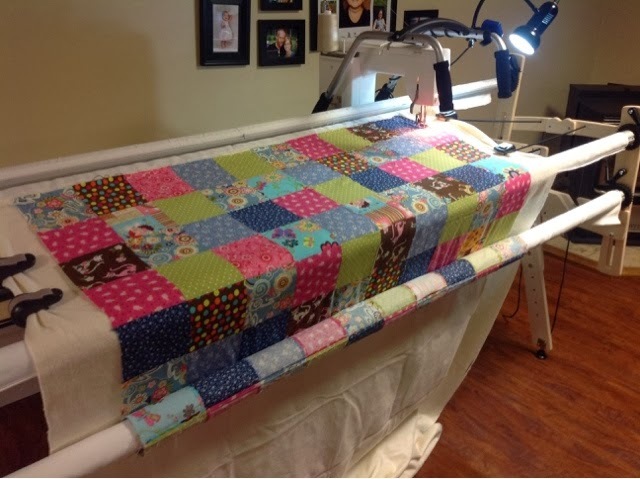 Last weekend I finally decided it was time to stop practicing and actually load a quilt on my Grace frame and get started quilting with my Babylock Jane. My first quilt...very nervous and of course don't want to make any mistakes. 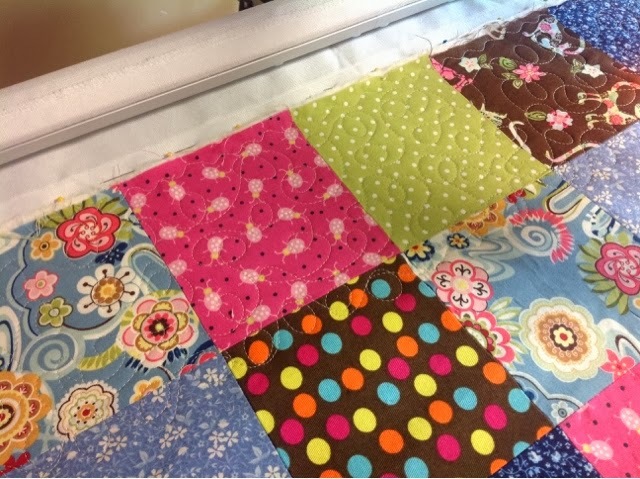 Well here is "Gracie's Quilt" loaded and ready to go!